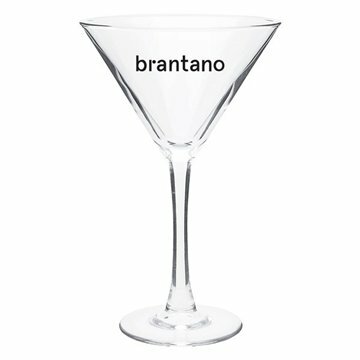 10 oz signature martini clear. I can't say enough about how good AnyPromo's customer service is. They actually held a pending order for us for over a year and then immediately acted on it and rush shipped it to us when we got back to them, and the pens were still perfect. Top quality and looked great upon receipt. Love the load and feel within the hands very comfortable.... The imprint looks great. was exactly as described and ordered. This was the 2nd time I ordered these. the price was reasonable for us. In addition to the high quality product, the turnaround time was very quick. We were very pleased. Everybody within our dept. and also at our industry events we attend really adore this item. Artwork good and detailed.